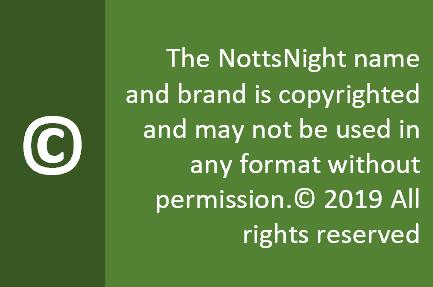 Address : 12 Queensbridge Road, Nottingham, NG2 1NB. Every beer lover love a p**s up in a brewery, and here you can do just that all year round. 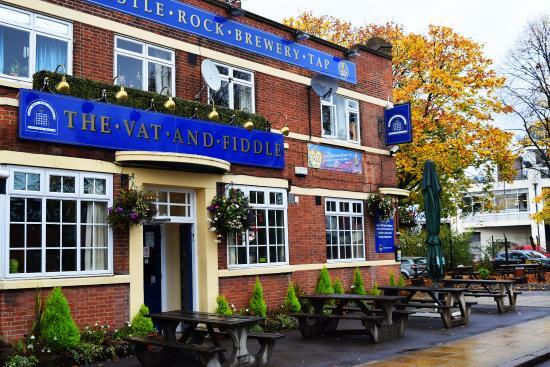 The home of Castle Rock brewery, the Vat and Fiddle takes its playful name from the nearby huge Revenue and Customs offices. On the bar you’ll find a healthy collection of Castle Rock’s own beers along with several guest ales. The lines are always kept clean and the pints are pretty much perfect every time. The main sprawling bar is complemented by a relatively recent extension, which also serves as the brewery’s visitor centre, offering tours by prior arrangements and during occasional special events. Music? On a Sunday you may find a few session musicians playing Irish tunes, otherwise this is a thankfully quiet bar. Food? Castle Rock’s hearty menu of pub favourites will keep you going, along with a great selection of cobs and snacks. People? The world and his dog stop by the Vat; it’s close proximity to the train station make this a good alternative to the platform waiting room. Opinion? Castle Rock does it again, with a homely, traditional boozer. It’s a tried and tested format at a welcome sight if you’ve missed your train.